Often people are misconstrued by alert messages and act inappropriately because they have not fully understood the message; especially, when they are short-text messages with partial information. There are many challenges with cognition, or understanding, of public warning messages. UNESCO estimates, on average, 30% of South/West Asians and Sub-Saharan Africans to be illiterate. Those countries combined account for ~40% of the world’s population. World Bank tourism statistics have estimated over 955 million departures over the past 4 years (2008-2012) and the numbers to rise to 1.6 billion per annum by 2020. 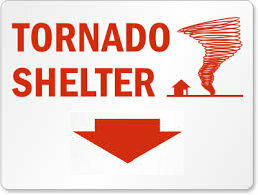 Could a Chinese tourist in USA, or any other person alien to English for that matter, understand a rapid-onset Tornado warning text-message? Studies show that every country in the world is home to more than one language; on average 6 languages, according to recent studies by Ethnologist. In most cases it is above 50, if we consider regions such as Europe, Asia, and Central Africa. Addressing alerts in each language is cumbersome. Although the Common Alerting Protocol (CAP) content standard allows for carrying a message in multiple languages, delivering them in each language overwhelms the communications networks. “Symbols in Alerting” was the basis of my talk at the 6th Common Alerting Protocol Implementation Workshop that took place in Geneva, Switzerland (23-25 April 2013). There were seventy participants (70) from thirty severn (37) countries representing and several International organizations, Sahana Software Foundation was one of them. It is best to focus on “symbols in alerting for mobiles”. The challenges are in addressing all makes and brands. They typically vary between iOS, Android, Windows, Symbian, so on and so forth. The most effective way may be to host a small applet along with the pictograms in the mobile phone memory. Thereafter, trigger the appropriate pictogram using CAP message for display. A customizable generic applet can be developed. Cellular Operators can adopt the applet, then customize it for the country-context, based on the country CAP-profile. The customized applet can be deliver, over the air, to the subscribers. Thereafter, the subscriber could further customize as to which alerts they would like to see and at what threat levels. The symbol-based alerts on the mobile can be triggered using Cell-broadcast, SMS, or HTTPS (REST-ful) strings. Symbols are indeed effective provided they carry both the hazard and the required response action. Colours and Numbers are a good way to present the priority (or the severity, certainty, and urgency) of the message. The common consensus of the workshop participants was that “symbols in alerting” is important and some initiatives must be exercised to research and develop a framework that is in in-line with the CAP standard. It may take time to understand the functional requirements, design parameters, and the process variables. Good stuff! I’m also amazed at the DHS store and its requirements for black and white… I’m not sure that makes sense. One example though needs to be modified. The Fujita (now “Enhanced Fujita” EF) Scale is a post-event summary. Forecasts do not have the ability to give out the EF number in advance. Thanks for the correction on the EF numbers, if it is a postmortem then, yes, it would not work. This work was policy relevant and the talk had an impact! It got picked up by WMO and they leveraged the idea to write a policy paper expressing the need to focus on these delivery mechanisms; titled: DESIGN GUIDANCE FOR WARNINGS PRESENTED. That paper was shared with WMO’s COMMISSION FOR BASIC SYSTEMS (CBS), OPEN PROGRAMME AREA GROUP (OPAG), ON PUBLIC WEATHER SERVICES (PWS), MEETING OF THE CBS/OPAG-PWS EXPERT, TEAM ON COMMUNICATION, OUTREACH AND PUBLIC EDUCATION ASPECTS OF PWS DELIVERY (ET/COPE).